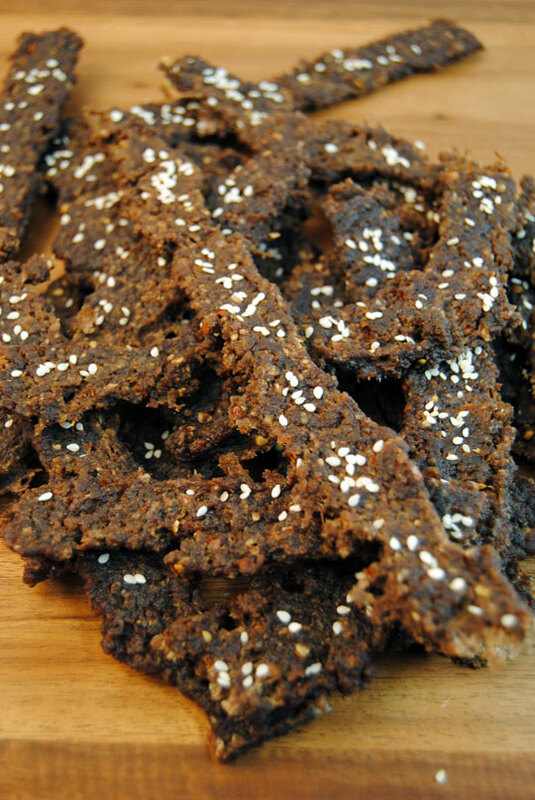 Our Sweet Chili Jerky is tangy, spicy, sweet, and oh-so-good: Fresh beef ground with a Weston Meat Grinder, mixed with red pepper flakes, garlic, and ginger, pressed through a Weston Jerky Gun, and dehydrated in a Weston Dehydrator. Place the beef and remaining ingredients, except the sesame seeds, in a Weston Vacuum Canister. 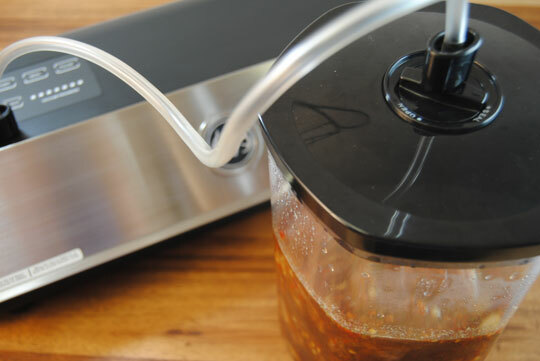 Attach the canister to a Weston canister-capable Vacuum Sealer and seal. Place the canister into the refrigerator and allow to marinate at least 12 hours. 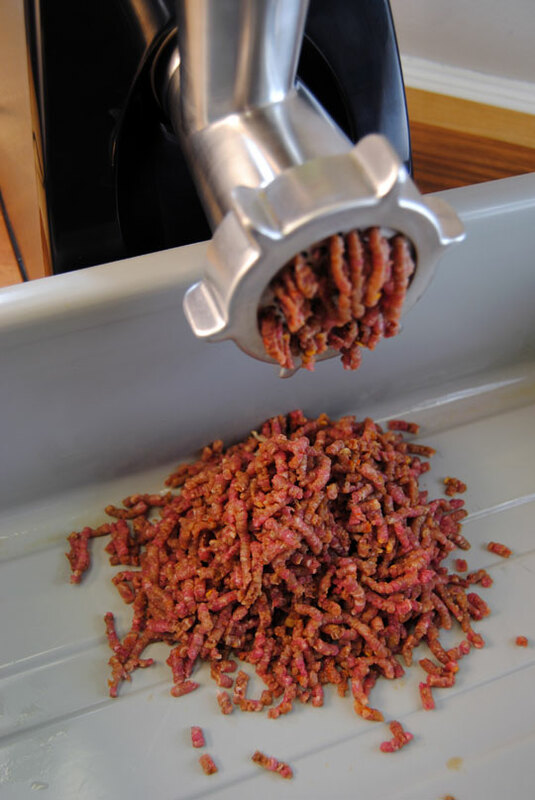 Drain the meat of all liquid and place it onto the tray of your Weston Meat Grinder. Using a coarse grinding plate, grind the meat through once, then grind it again through a fine grinding plate into a Weston Meat Lug. Fill a Weston Jerky Gun tube with the meat, and be sure to use the stomper to push the meat down as much as possible. 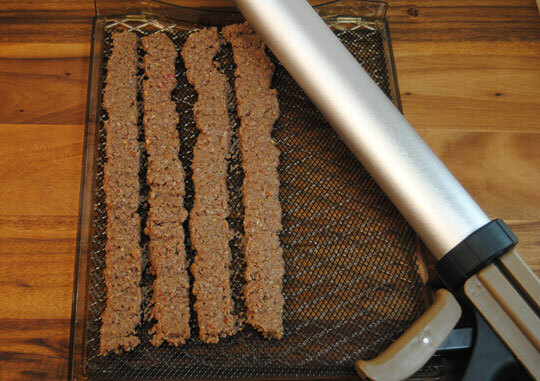 Dispense the jerky meat onto Weston Dehydrator Trays covered with Dehydrator Netting. 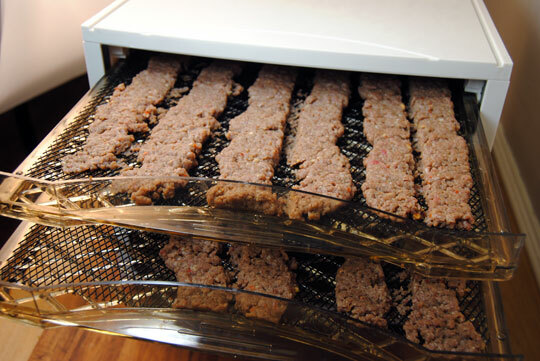 Place the trays into your preheated Weston Dehydrator, sprinkle the jerky with sesame seeds, and dehydrate for 6 hours at 155 degrees F or until jerky is dry, but still soft.